An unnamed man was trying to text a depression crisis line, looking for a little consolation and support. 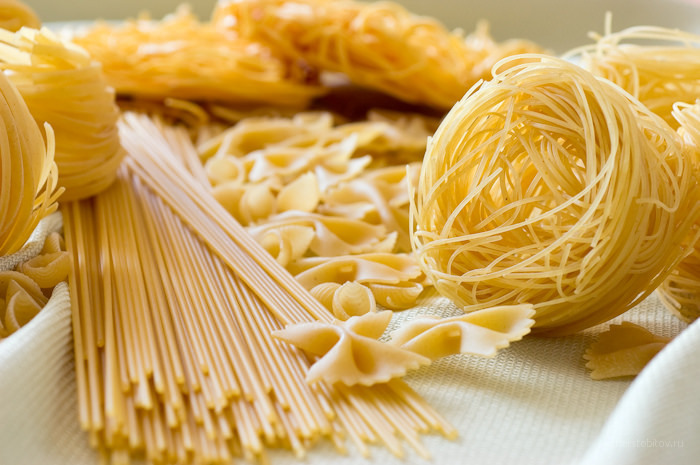 He accidentally messaged a pasta company, and he was understandably pleased by the response. At first, the customer service agent said she could only talk about the company’s products—because she was using a professional line. The man had admitted he was depressed and needed someone to talk to. The man then compared himself to lasagna with meat sauce. Instead of cooking it the way that he was supposed to, he was stretched too thin and had far too many responsibilities. As a result, he was not able to do everything well. 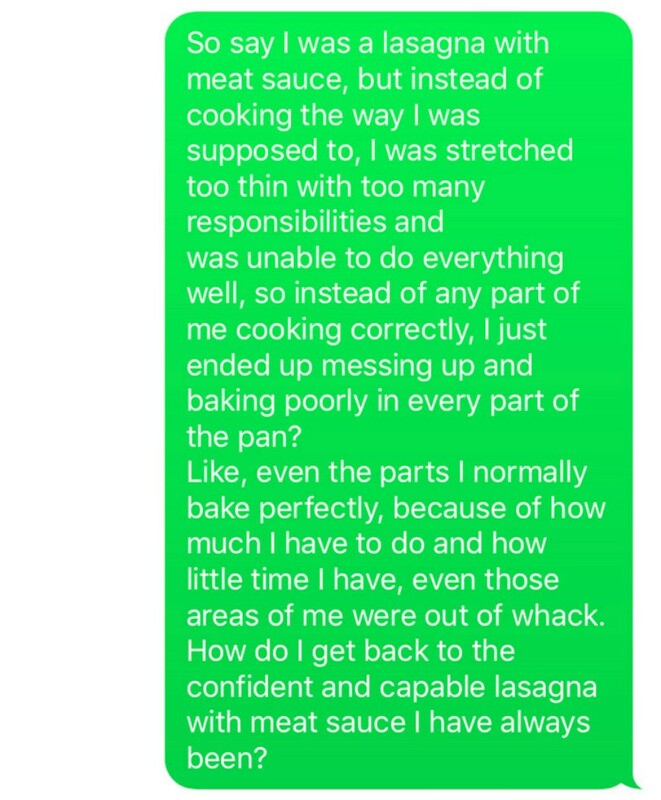 Instead of any part of “him” cooking correctly, he said he just ended up goofing up; the “lasagna” then baked poorly in every part of the hypothetical pan. He added that even the parts he typically bakes perfectly—because of how much he has to do and his limited time—were out of whack. He wondered how to go back to the capable and confident lasagna with meat sauce he once was. The company that the man texted actually replied to his thoughts and question, suggesting that the “lasagna” needed to do a reformulation. The company pointed out that mistakes happen at times, and those mistakes mess everything up, but things can be fixed if the lasagna tries again. Lasagnas—the company said—can be fixed. 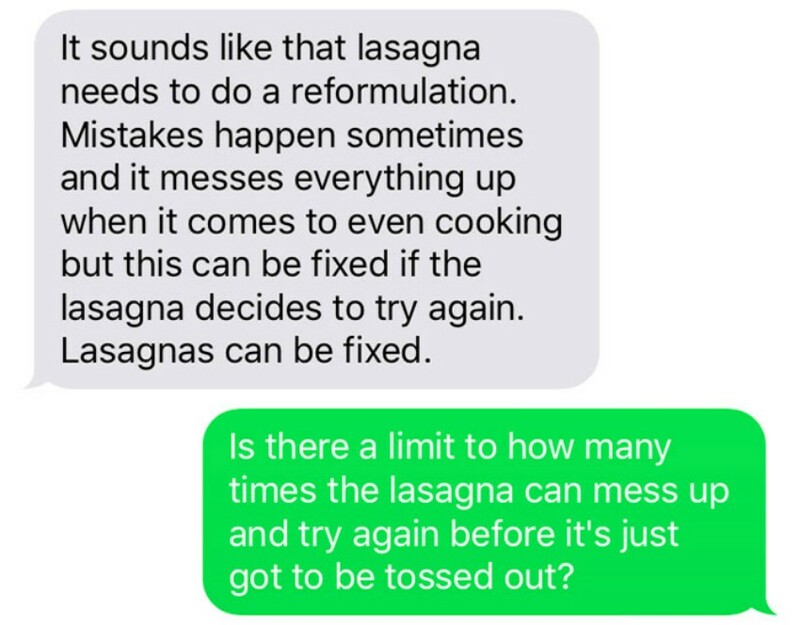 The anonymous man replied to the company’s message, wondering how many times a lasagna can be messed up before it simply needs to be tossed out. The company replied that the man would be surprised at how resilient noodles can be—the customer service representative said she actually hadn’t found a limit. The man, his morale boosted, replied that he would “start the next round of preheat” and then give it another go. The company ended the conversation with encouraging words, saying “that’s the spirit”. It also said that the company is there for the man 24/7. The conversation ended up being posted online. People were understandably surprised at how well the pasta company managed the unexpected situation. The story is truly evidence of just how important customer service can be, and how it can really make a difference to people. 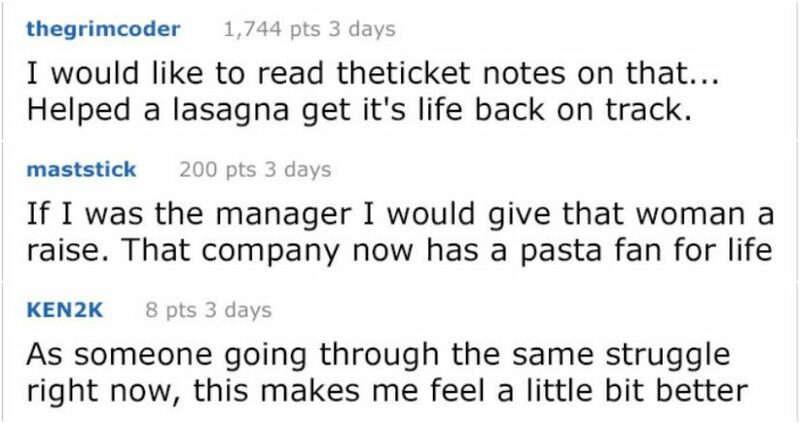 One social media user commented, saying that a manager should give the employee who interacted with the “lasagna” a raise—adding that the pasta company has a fan for life. The employee’s name is Sarah—and we hope she does get that raise. Another user was experiencing a similar struggle, and pointed out that the exchange made him feel a bit better. 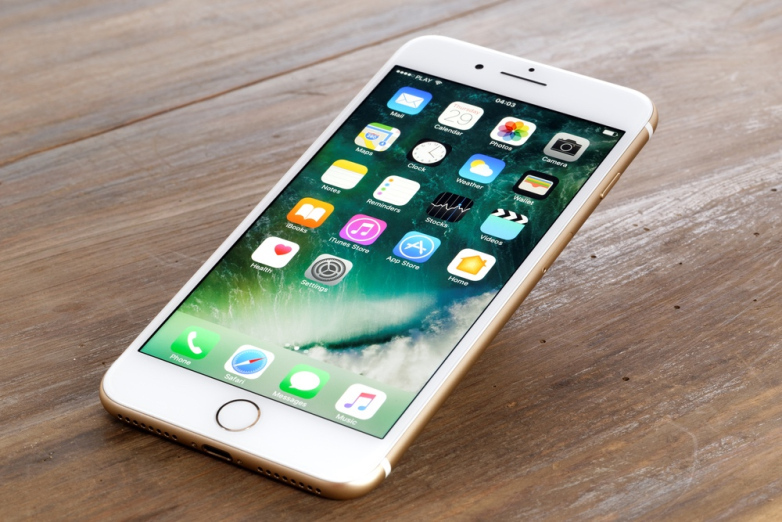 One person recounted how he or she used to work for an inbound phone company. According to that person, people would sometimes call in just because they wanted to have a conversation. A social media user named “whitewarlord” described the situation as kindness to a stranger at its best. 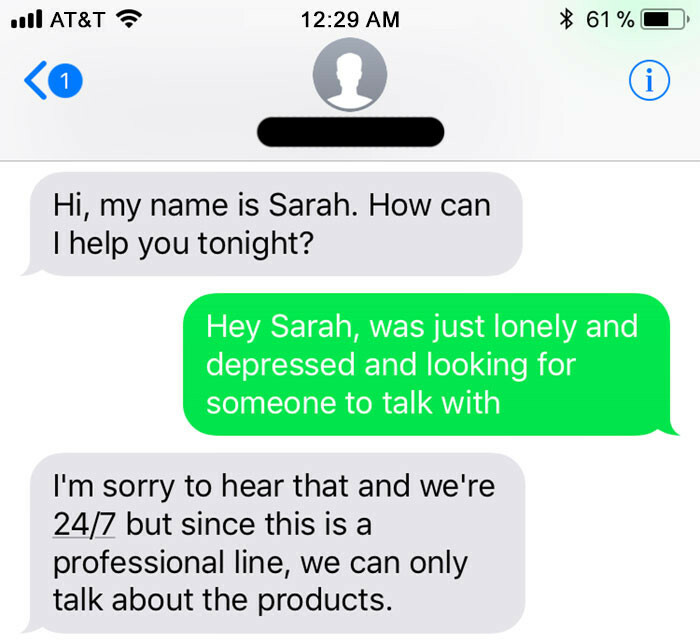 Hopefully the “lasagna” is still doing well, and we should all be grateful that there are customer service representatives like Sarah out there. However, there are a lot of people struggling with depression who don’t think they have anyone to talk to. Depression is a serious issue. In the United States alone, there are more than three million cases every year. It is one of the risk factors for suicide in adolescents, and more than 50 percent of adolescent suicide victims had been diagnosed with a depression-related disorder prior to their deaths. Those experiencing depression often come across as sad or anxious, but there are other symptoms and signs that aren’t as well known. For example, chronic pain may be a sign of depression, as mental illness and pain share certain neurotransmitters and biological pathways. When a person is depressed, he or she tends to feel pain more acutely. Neck and lower back pain are common, as are stomach aches and headaches. Weight gain is another symptom of depression, as depressed people often turn to food for comfort. Heavy alcohol consumption is another sign. According to research, nearly one third of depressed people also have a problem with alcohol. Doing anything in excess, actually, may be a sign of depression. If you’re depressed, there are resources out there no matter where you live, and they’re a mere internet search away. If you’re experiencing distressing thoughts and feelings, the Campaign Against Living Miserably (CALM) is there to support you. They’re open from 5pm–midnight, 365 days a year. 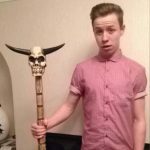 Their national number is 0800 58 58 58!